H.A. Anderson: Modular Representations of Algebraic Groups and Relations to Quantum Groups. A. Joseph, Orbital Varieties, Goldie Rank Polynomials and Unitary Highest Weight Modules. T. Kobayashi, DiscontinuousGroups and Clifford-Klein Forms of Pseudo-Riemannian Homogeneous Manifolds. V.S. Varadarajan, The Method of Stationary Phase and Applications to Geometry and Analysis on Lie Groups. D.A. Vogan, Jr., The Orbit Method and Unitary Representations for Reductive Lie Groups. 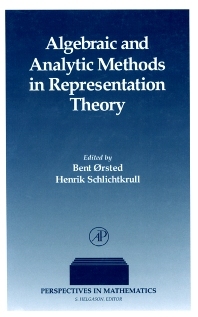 This book is a compilation of several works from well-recognized figures in the field of Representation Theory. The presentation of the topic is unique in offering several different points of view, which should makethe book very useful to students and experts alike. Advanced students and researchers in several areas including: Lie Algebra, Geometric and Analytic techniques, Quantum Physics.